With all this talk of the Shopbop sale, you may have missed that Club Monaco is also having a big sale right now! Enjoy 30% off your entire purchase when you enter code FRIEND at checkout!! Club Monaco is one of my favorite go-to stores to find elevated basics for year-round wear. 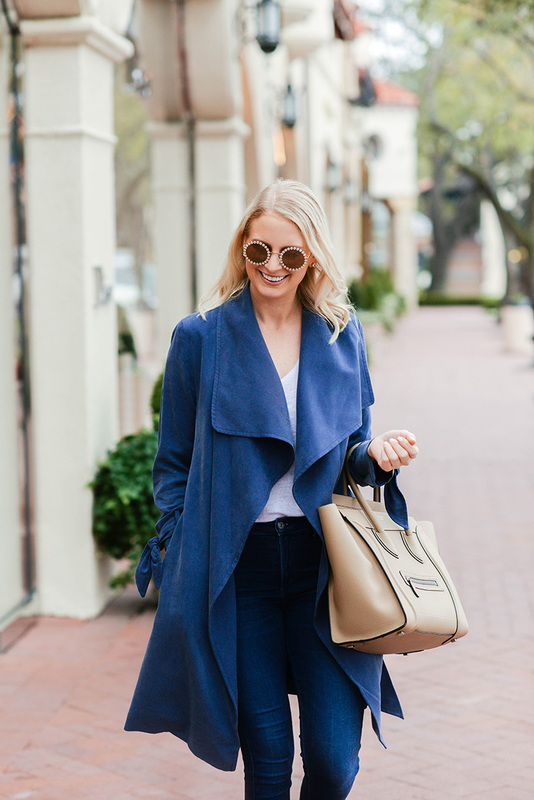 So many of my absolute must-haves are from Club Monaco – like this twist front tee, this drape-neck trench and a simple grey turtleneck I’ve had for five years and refuse to get rid of. 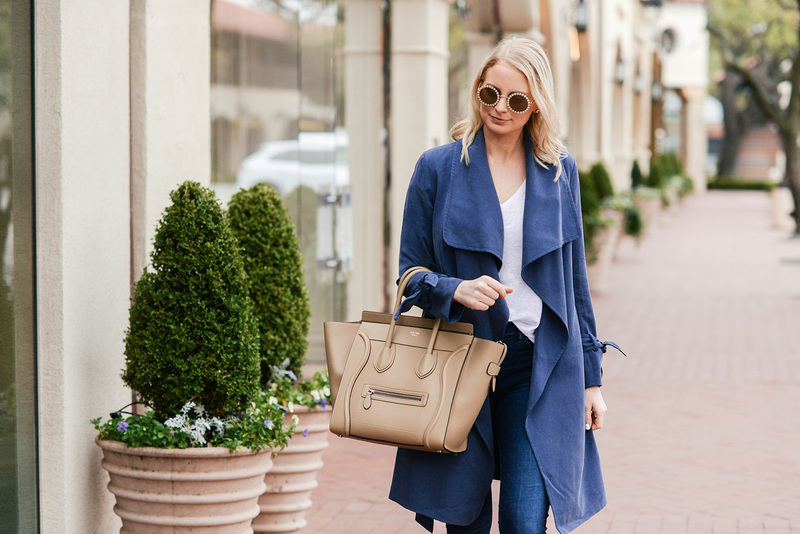 Now’s the time to snag the items every girl needs to complete a capsule wardrobe. Shop my favorites from the sale below! What are you getting? 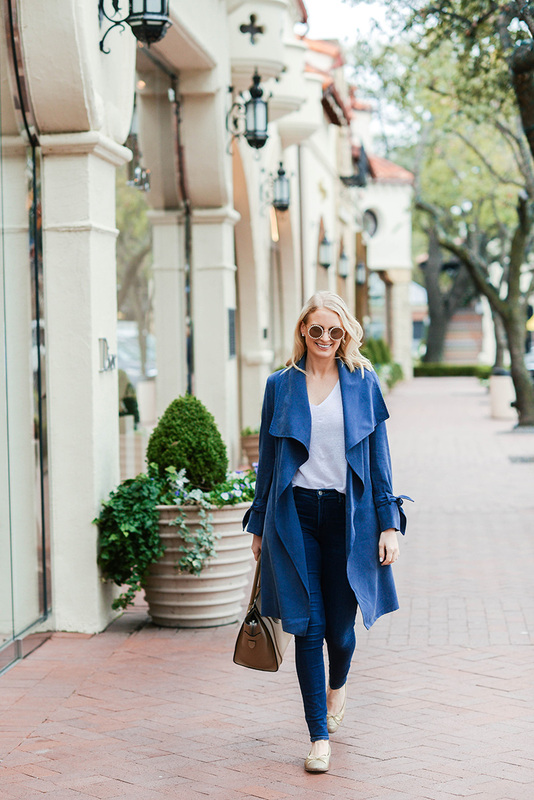 If you weren’t able to grab your size in my all-time-favorite skinny blue jeans during the Shopbop sale, they’re available in pretty much every size and part of the Club Monaco sale!! I’m ordering another pair. Nearly all of my trench coats are by Club Monaco, but they’re all to my knees or longer. Thinking this short, tiered style would be a fun addition before my trip to London in June! Whether you want a little white dress or a little black dress, get it in this ruffled-cuff number. You could totally wear it to work, but it’s super easy to dress up for date night too! I love a mule, and the grosgrain ribbon bow on this pair has me all heart-eyed over here. I’m not much of a jumpsuit gal, but I might be able to get on board with this fabulous hot pink piece! Such a fun look for a party! If you love a print, this dress is another great work-to-weekend piece! Definitely something you could wear to church, brunch, dinner, wherever. I’m a big fan of the combo sweater, mostly because the shirt portion covers my behind! this drapey trench is so pretty and love the color. 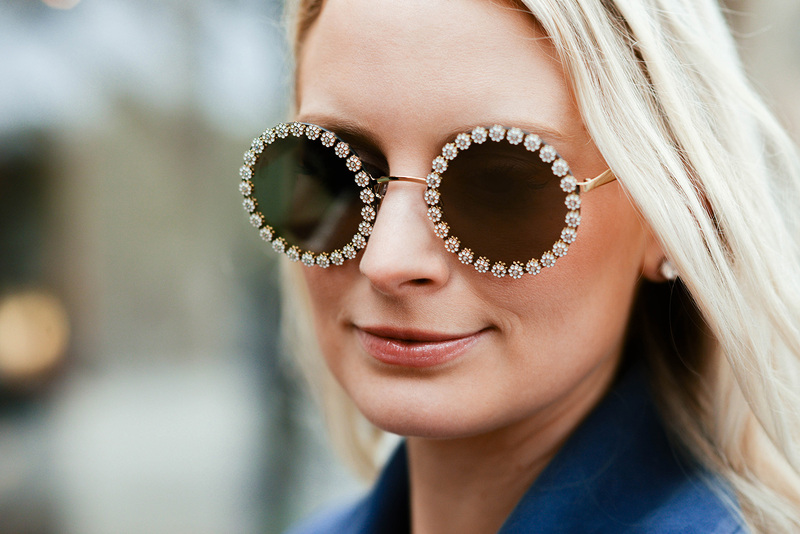 OMG your sunnies are to die for!!! Love love love them.